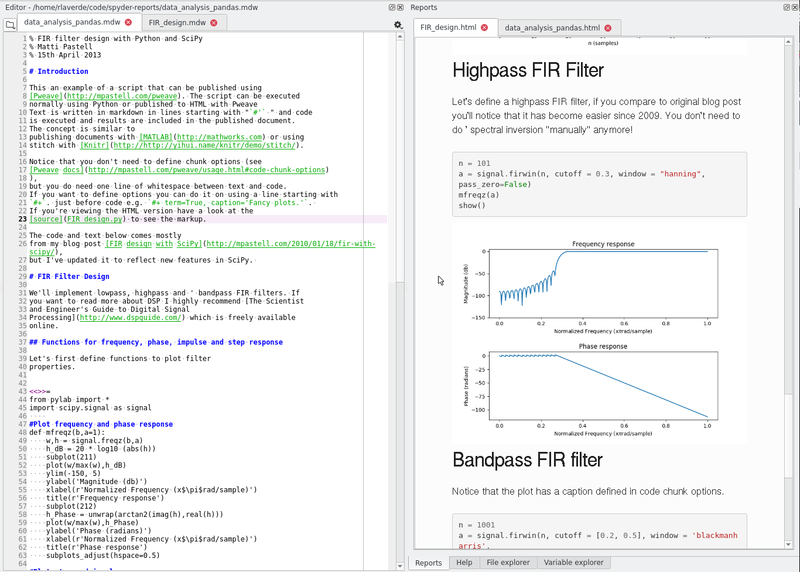 Spyder is a powerful scientific environment written in Python, for Python, and designed by and for scientists, engineers and data analysts. It offers a unique combination of the advanced editing, analysis, debugging, and profiling functionality of a comprehensive development tool with the data exploration, interactive execution, deep inspection, and beautiful visualization capabilities of a scientific package. Beyond its many built-in features, its abilities can be extended even further via its plugin system and API. 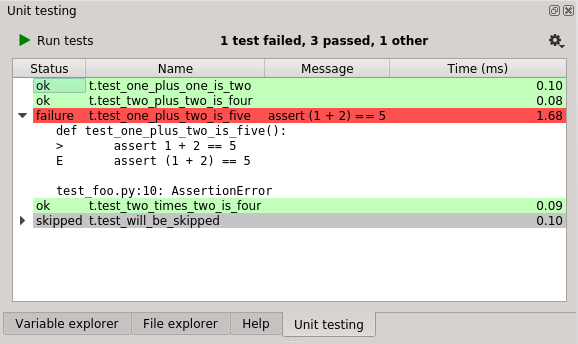 Furthermore, Spyder can also be used as a PyQt5 extension library, allowing developers to build upon its functionality and embed its components, such as the interactive console, in their own PyQt software. Work efficiently in a multi-language editor with a function/class browser, code analysis tools, automatic code completion, horizontal/vertical splitting, and go-to-definition. 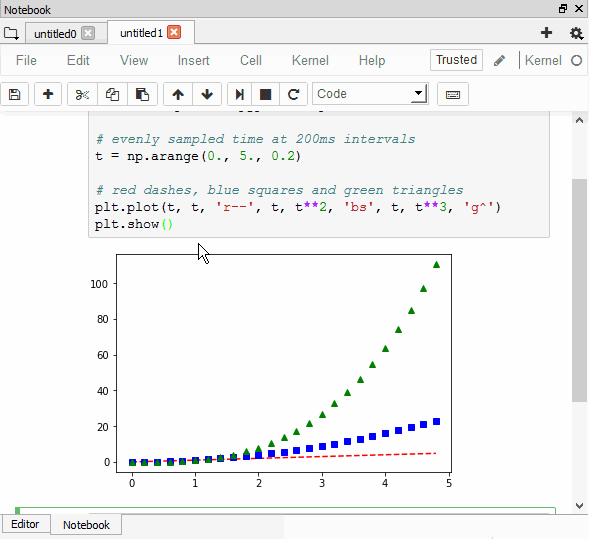 Harness the power of as many IPython consoles as you like within the flexibility of a full GUI interface; run your code by line, cell, or file; and render plots right inline. Interact with and modify variables on the fly: plot a histogram or timeseries, edit a dateframe or Numpy array, sort a collection, dig into nested objects, and more! Find and eliminate bottlenecks to unchain your code's performance. Trace each step of your code's execution interactively. Instantly view any object's docs, and render your own. Extend Spyder's functionality with these awesome third-party plugins! The easy way to get up and running with Spyder on any of our supported platforms is to download it as part of the Anaconda distribution, and use the conda package and environment manager to keep it and your other packages installed and up to date. We recommend the latest 64-bit Python 3 version, unless you have specific requirements that dictate otherwise. For more advanced users who want a detailed guide to many different methods of obtaining Spyder, please refer to our full installation instructions. However, these approaches are generally intended for experienced users only, so we recommend sticking with Anaconda unless you know exactly what you are doing on your own. Help us to provide the best Scientific Python Development Environment!